New York, NY - June 18, 2014 - Attorney General Eric T. Schneiderman today announced that the Nassau County and the Suffolk County police departments have been approved for his Community Overdose Prevention (COP) Program. Since the Attorney General’s program was launched just over two months ago, 18 law enforcement agencies on Long Island have been approved for $222,788 in purchases and training for the use of 2,452 naloxone kits. The Attorney General’s $5 million, statewide program aims to put naloxone, an antidote that can instantly reverse the effects of a heroin overdose, into the hands of police officers across New York. 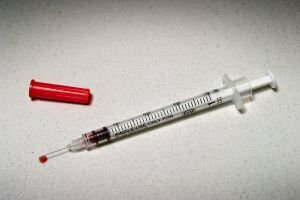 “The COP Program is an essential part of our effort to combat the spike in heroin overdoses that is plaguing communities and families on Long Island and across New York State,” Attorney General Schneiderman said. “By providing police officers with naloxone, we are making this life-saving overdose antidote, available in every town, village and hamlet on Long Island.”Long Island had the second largest number of naloxone kit reimbursements in the state, after New York City, and the second largest number of approved law enforcement agencies in the state, after the Mid-Hudson Valley. Nassau County Acting Police Commissioner Thomas C. Krumpter said, “Although Naloxone kits have been a required piece of equipment on Nassau County Police Ambulances for many years, the impact of it the hands of our patrol force has been tremendous. In the past few months, some Nassau County police officers have been equipped with Naloxone kits, resulting in numerous lives having been saved from accidental heroin overdoses. With the funding from the Attorney General's office, the entire patrol will now have this life saving tool available to them." Long Island had the second largest number of naloxone kit reimbursements in the state, after New York City, and the second largest number of approved law enforcement agencies in the state, after the Mid-Hudson Valley. Suffolk County has the second highest number of approved agencies in the state, with ten. Nassau County has the second largest number of kits, with 1,933. In Nassau County, the Floral Park Police Department; Garden City Police Department; Glen Cove Police Department; Great Neck Estates Police Department; Lynbrook Police Department; Port Washington Police District and the Rockville Centre Police Department have also been approved. In Suffolk County, the East Hampton Village Police Department; Huntington Bay Village Police Department; Northport Police Department; Riverhead Police Department; Sag Harbor Village Police; Southampton Town Police Department; Southampton Village Police Department; Southold Town Police Department; and the Quogue Village Police Department are also approved. Since the COP Program was launched April 3, the Attorney General’s office has approved 117 police departments, and more than $1.72 million, to fund the reimbursement for 26,273 naloxone kits. New York City had the largest number of naloxone kit reimbursements in the state, with five law enforcement agencies, including the New York City Police Department, approved for reimbursement of $1.2 million for the purchase and training for 20,385 naloxone kits. The Attorney General’s Office has approved 35 law enforcement agencies in the Mid-Hudson Valley for reimbursement of $104,780 for the purchase and training for 1,461 naloxone kits. Almost 200 departments statewide have applied for funding and the Attorney General’s Office has approved enough kits to equip almost half of the state’s police with naloxone. A total of 26 Long Island agencies have applied to the program. Each naloxone kit consists of a zip bag or pouch containing two prefilled syringes of naloxone, two atomizers for nasal administration, sterile gloves and a booklet on the use of the drug. The cost of a naloxone kit is approximately $60, and the shelf life of each kit is approximately two years. Since taking office, Attorney General Schneiderman has fought against the scourge of heroin in New York. He led the effort to rein in prescription opioid abuse by passing unanimous legislation to create I-STOP – the Internet System for Tracking Over-Prescribing. Initial figures indicate that I-STOP has reduced doctor-shopping – the practice of going from doctor to doctor to accumulate prescriptions – by 75% in just the first year. On the criminal side, I-STOP has led to the prosecution of several doctors who willingly participate in doctor-shopping. Separately, the Attorney General’s Organized Crime Task Force has successfully dismantled a number of heroin rings around the state. Subject: LongIsland.com - Your Name sent you Article details of "AG Schneiderman Announces Funding to Equip Nassau and Suffolk County Police With Life-Saving Heroin Antidote"